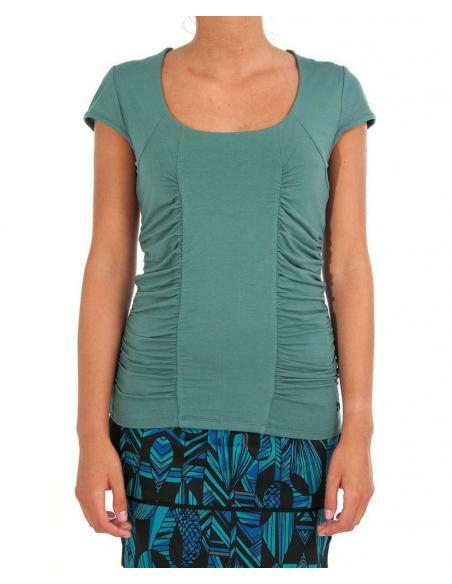 - 95% viscose, 5% elastane. 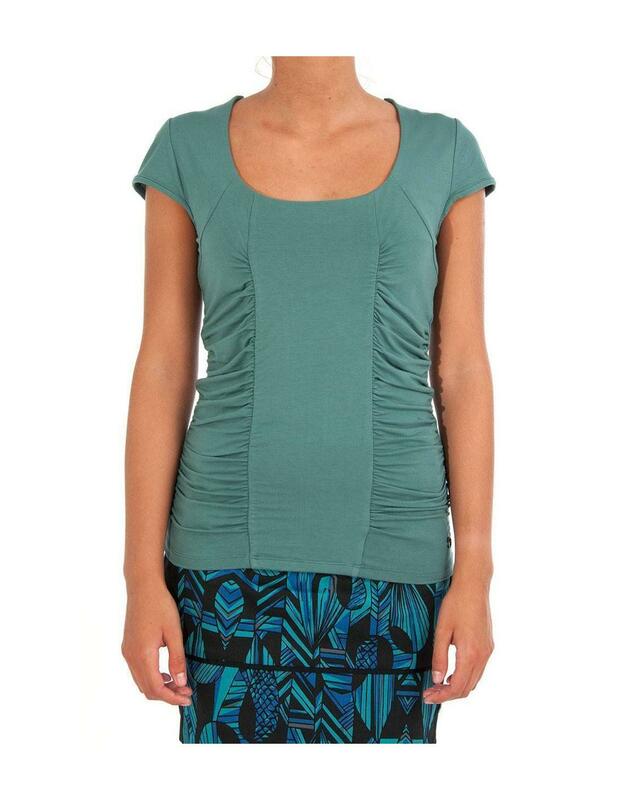 - Viscose elastane t-shirt with draped front body panels. - Very short sleeve.